A freebie from my one of my teaching partners. We made these yesterday. they are so cute. I ran some on pink and some on red, cut the sheets in half so they could have both colors. Add a wiggly eye and you're set. Click the image to download your blackline master. So cute. 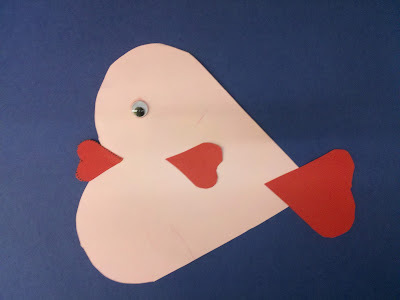 We made heart animals last week. Thanks for sharing and commenting on my blog. I am adding your wonderful blog to my roll. Feel free to do the same with mine!